Kevin's first recorded performance was singing the opening motif from Beethoven's 5th when hearing it on a car radio at the age of two! Since then, music has been an important part of his life. Born in southwest England in 1959, Kevin Duggan read music at Bath University and the Royal College of Music in London, studying organ with Dudley Holroyd, Richard Popplewell and Nicolas Kynaston and taking part in masterclasses given by Johannes Geffert and Gillian Weir. He won the RCM Clavichord Prize in 1981 and the West of England Organ Competition in 1983, also participating in international organ competitions. He studied harpsichord with David Ponsford and Ruth Dyson, piano with John Parry and composition with George Odam. Kevin is an accomplished recitalist who has performed widely and received a number of favourable reviews, including Musical Times and DOKS-bladet. He has played in many venues, ranging from large cathedrals and concerts halls to small village churches, always building a programme to suit the instrument and audience. In 2014 Kevin performed in Denmark, Sweden, England, Germany, Italy, Australia and New Zealand. He is an experienced chamber musician and accompanist, and has since 2003 been an examiner for ABRSM. Between 2004 and 2015 Kevin was Organist of St. Nicolas, Rønne, on the Danish island of Bornholm. He was the driving force behind the music festival Skt. Nicolai Musiksommer as well as a large number of other concerts. He was also a tutor for Zealand School of Church Music. 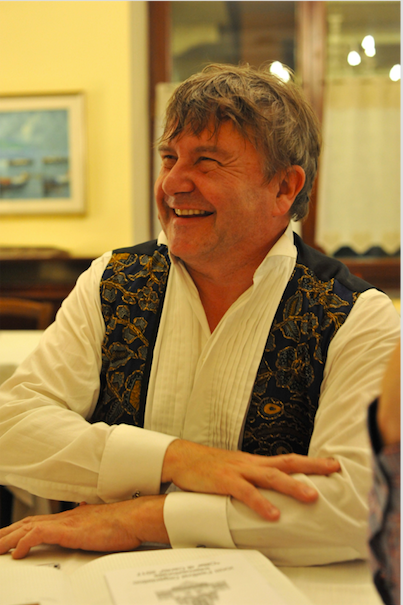 An accomplished choir trainer, Kevin was for several years Musical Director of Bristol Chamber Choir and the small chamber choir Nordic Voices, and subsequently Skt. Nicolai Kantori and Bornholm Choral Society. Kevin has composed music for a wide variety of musical forces, including church and chamber music. He has received a number of commissions, most recently for a piece for accordion. In 2006 he wrote Kontakion for Bornholm, a large-scale cantata in connection with the 60th anniversary of Bornholm’s liberation from the Russians. Examples of his music can be heard on YouTube, for example String Quartet, Magnificat, Vocalise and Watersmeet. Kevin Duggan’s CD recording Notes from a Small Island, recorded on the IV/51 Frobenius/Christensen organ in Rønne, includes organ music by Leighton, Langlais, Duggan, Duruflé, Ropek, Eben and J.S. Bach. Since April 2015 Kevin has been Director of Music at Dunblane Cathedral in Scotland, and Musical Director of the Rosenethe Singers. His choir Nordic Voices performed in Italy in 2017, and Latvia in 2018.